I was looking through some old magazine clippings the other day and found this simple, yet delicious, recipe for lemonade. I happened to have everything on hand (a small miracle! ), so I gave it a try. It was fabulous! I substituted Truvia for the sugar to make it even healthier. I must warn you though…if your fruit is super ripe like mine was, you may want to cut back a bit on the sugar. Mine was very sweet because both the berries and the watermelon were quite ripe. You could easily substitute another kind of berry for the raspberries – maybe even spike it with a bit of lemon flavored vodka for an evening cocktail al fresco! 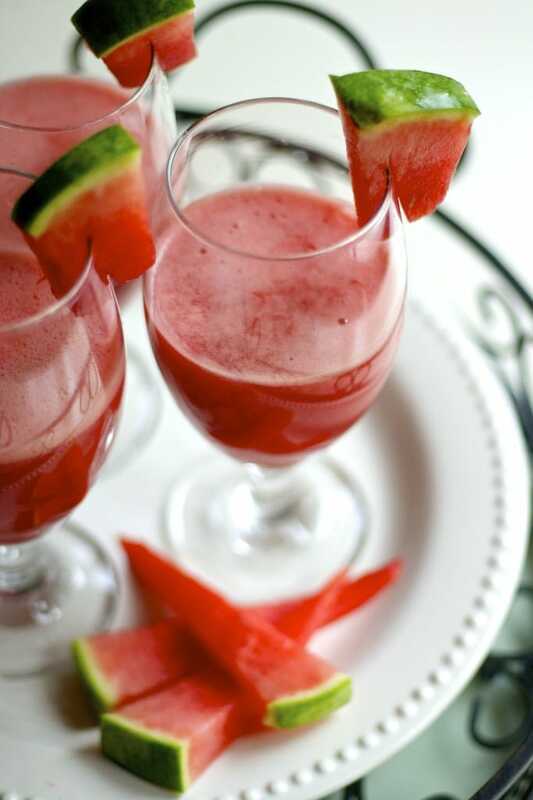 A healthy fruit flavored lemonade, perfect for a hot summer day. 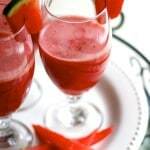 Place watermelon, raspberries, and water in blender and process until smooth. Strain the mixture through a fine-mesh strainer into pitcher. Stir in the lemon juice and sugar. Thanks so much for stopping by and for your encouragement, Lindsay!